Fake bills are everywhere and it is spawning as the holiday season approaches. Some people are starting their holiday shopping to avoid the rush. Never forget to be vigilant and street wise not to be victimized by people who are spreading fake peso bills. 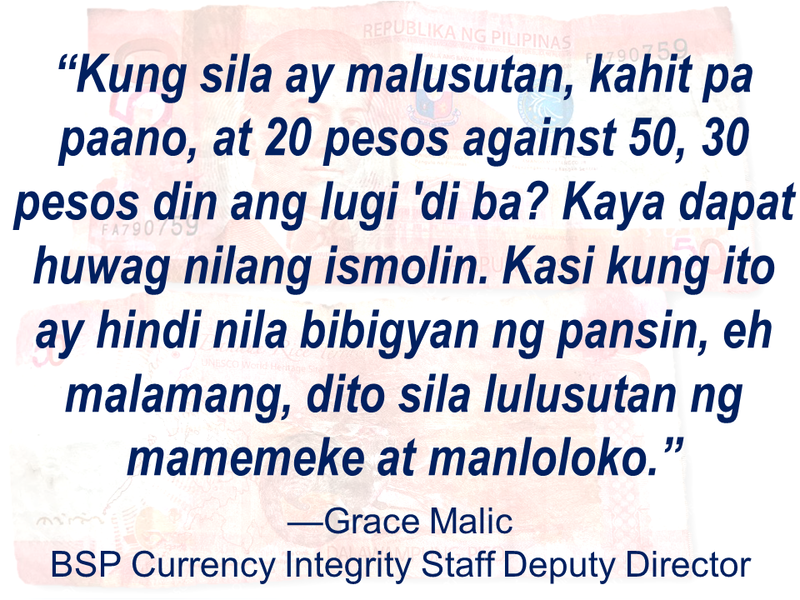 BSP currency integrity staff deputy director Grace Malic said that small denomination bills are usually tampered since they are less likely to be checked individually. 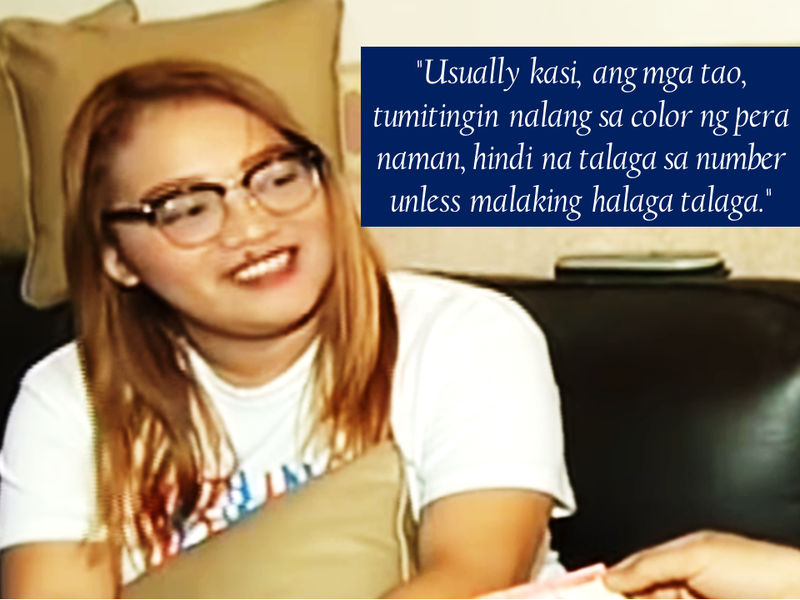 Ageygey Hadjiphanis went on a shopping in a mall located at Divisoria, Manila to buy items for her business and that's where she got the fake bill. She was too tired to realize the 2's on the bill had been altered and replaced with 5's. 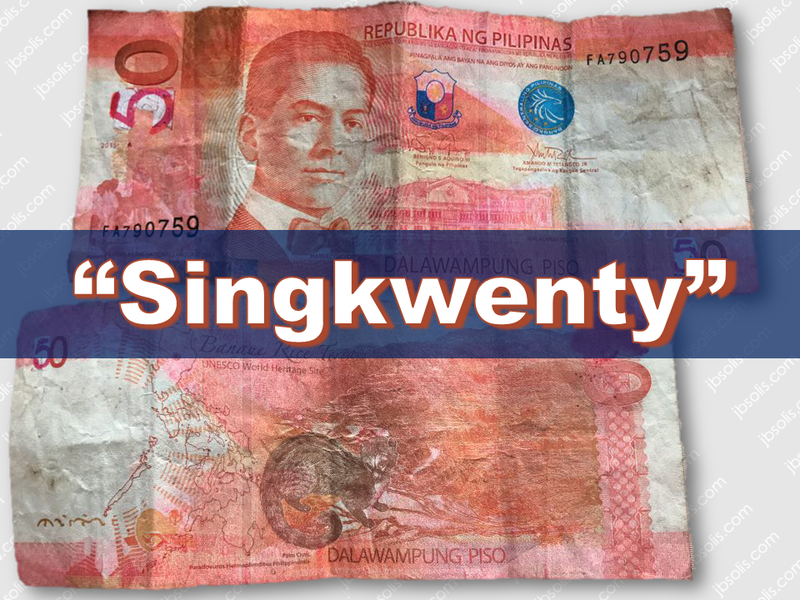 Making the twenty peso bill look like a fifty peso bill, hence, the term "singkwenty". 1. Embossed prints: The embossed or raised print nature of the ink deposition combined with the quality of cotton-based paper gives the traditional banknote a unique tactile effect that makes it the first and the most important line of defense against counterfeiting. This can be felt over the words “REPUBLIKA NG PILIPINAS,” denominational value in text, signatures, and value panels particularly, the one located at the lower right corner of the obverse. 2. Asymmetric Serial Number: Alphanumeric characters at the lower left and upper right corners of the note bearing one or two prefix letters and six to seven digits, with font increasing in size and thickness. 3. Security Fibers: Visible red and blue fibers embedded on the paper and randomly scattered on the face and back of the note. 4. Watermark: Shadow image of the portrait with the highlighted denominational value that is particularly seen against the light from either side of the blank space on the note. 6. Concealed Value: The denominational value superimposed at the smaller version portrait at the upper left portion of the note. This becomes clearly visible when the note is rotated 45 degrees and slightly tilted. 7. Security Thread (Embedded or Windowed): Embedded thread that runs vertically across the width of 20- and 50- piso notes when viewed against the light. Also, the stitch-like metallic thread on the 100-, 200-, 500- and 1000-piso notes which changes color from red to green and bears the cleartext of “BSP” and the denominational value on the obverse and “BSP” on the reverse, both in repeated series. 8. Optically Variable Device (OVD) Patch: Found only in 500- and 1000-piso notes, this patch is a reflective foil, bearing the image of the Blue-naped parrot for 500-piso/clam with South Sea pearl for 1000-piso, changes color from red to green when the note is rotated 90 degrees. 9. Optically Variable Ink (OVI): Found only in the 1000-piso note, this embossed denominational value at the lower right corner of the face of the note changes color from green to blue when viewed at different angles. If the bill you are holding did not meet the characteristics of the genuine peso bill, do not accept it. Always be vigilant and take time to look, feel and tilt because no matter how small it is, you worked hard to earn it.